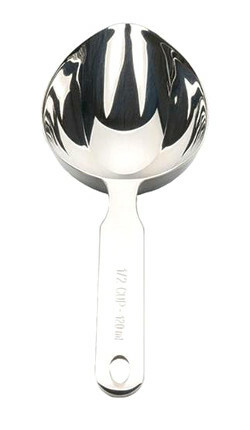 This stainless steel oval measuring cup is made from highly polished 18/8 stainless steel and measures 8" long. Features a long handle with a hanging loop. Holds 1/2 cup.